He was educated at Wycliffe College, Glos., St Catharine’s College, Cambridge and Westminster Medical School, London. He trained in general medicine in London, Derby and Oxford and Dermatology at The Middlesex and University College Hospitals. In the late 1980s he had a Sir Jules Thorn Research Fellowship at UCL and won the Cambridge University prize for his MD thesis. 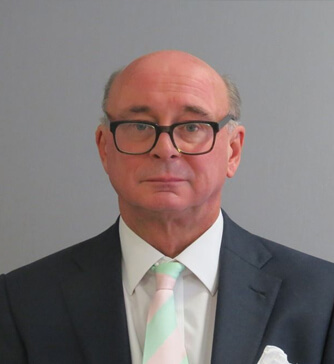 Professor Bunker has been President of British Association of Dermatologists, the Dermatology Section of the Royal Society of Medicine, St John’s Hospital Dermatological Society, the West London Medico-Chirurgical Society and the Chelsea Clinical Society. He has Chaired the Dermatology Specialty Advisory Committee and sat on the Council of the Royal College of Physicians. He has been the Chairman of the Consultants Medical Staff Committee at Chelsea & Westminster Hospital. He has a Silver National Clinical Excellence Award. He is a general Dermatologist with 24 years’ experience as a Consultant in teaching hospitals and has trained over 100 other Consultants and taught thousands of medical students. He has published over 330 papers, case reports, books and chapters in books. He is also Honorary Consultant Dermatologist to the Royal Hospital, Chelsea and St Luke’s Hospital for the Clergy, London.